Saturday is finally here and you can relax at Fair Go Casino with lots of free spins and a 100% match bonus! Redeem the coupon code DOD-100-ACH before your next Saturday deposit of $20 or more to claim your 100% bonus and 50 free spins on the Achilles pokie. You can also test your luck on the Triple Twister pokie with the 30 free spins coupon LUCKY-TWISTER or one of the coupon codes listed below, but do not claim two free no deposit bonuses in a row. Good luck! Free Spins Game: Achilles; No Maximum Cashout! AUD$20 Minimum Deposit. Slots wagering requirement: yes. Bonus terms apply, please check the casino’s website for details. 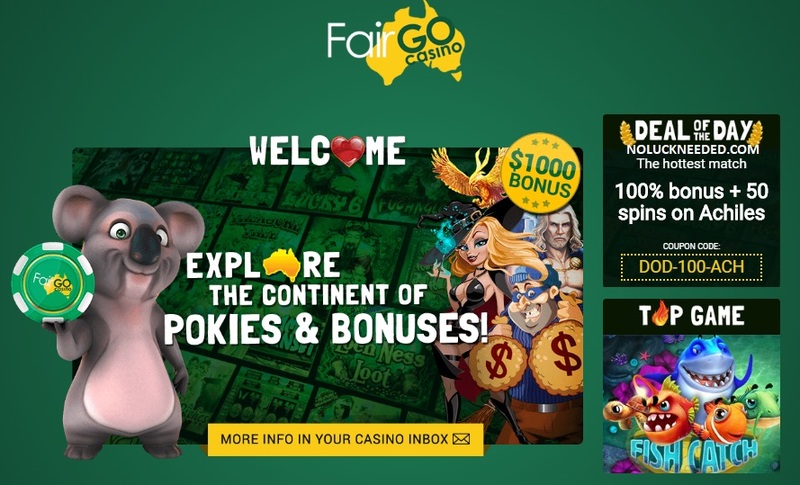 Claim your Saturday Pokie Bonuses and Free Spins at Fair Go Casino!